To celebrate the end of exams in Manchester, the union organises a massive ‘festival’ that we bought tickets for in NOVEMBER and were then incredibly excited for the next three months. Its called Pangaea and, like me, its pretty much a BIG deal. I was so excited that by the time I started sorting out my costume I’d forgotten what the theme was! I thought it was “Under the Sea”, it was actually “The Lost City”, but the results were basically the same. They fill the union building with lots of house music and decorations and everyone (who is worth their sea salt) dresses up. I started my costume with an amazing blue, velvet maxi skirt me and my mate RACH found in COW Vintage in Manchester. Its the perfect shade of blue to be the sea and I decided to be a mermaid. Usually I look nothing like what I want to look like but this costume I reckon was okay. 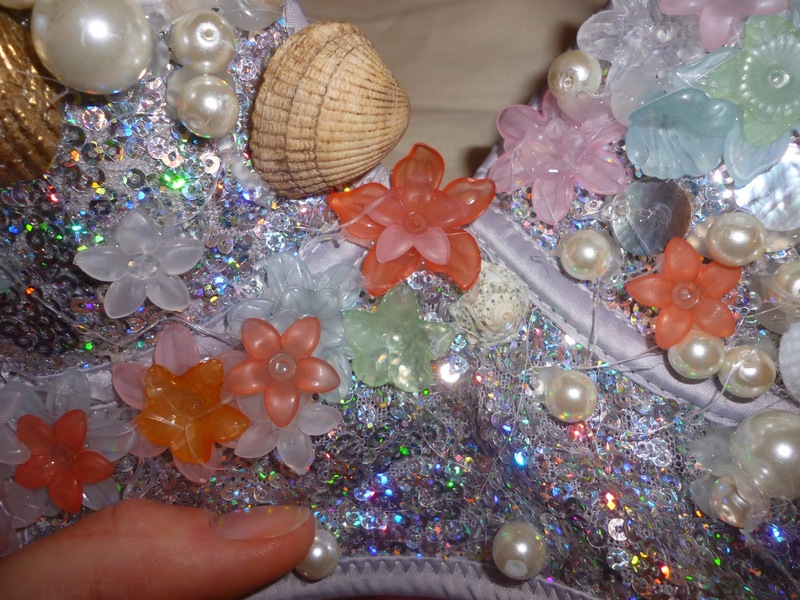 The main focal point was a mermaid bra I made myself, after seeing some amazing examples online for ‘rave bras’. Bra: the bra was perfect, I got it from H&M in the sale (£7). 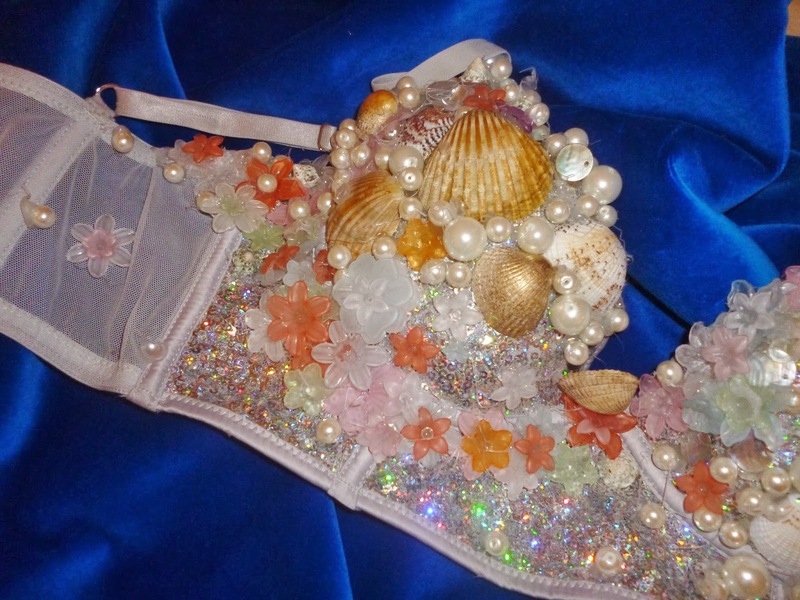 I saw a few other people in this bra on the night but nobody else had decorated it! anndddd you need a glue gun! I got mine for £6 from Amazon. The process is easy and really fun. I didn’t really plan what I wanted to do, but just kept adding more and more stuff until I liked how it looked. 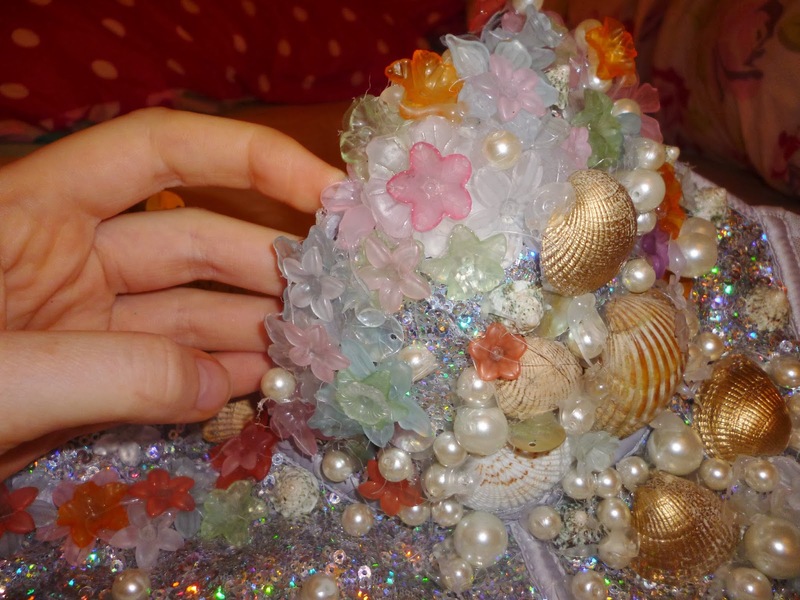 I tried to make the shells focal points, then surrounded them with flowers, and added pearls for highlights. Try it on a few times as you make it to make sure it looks balanced! 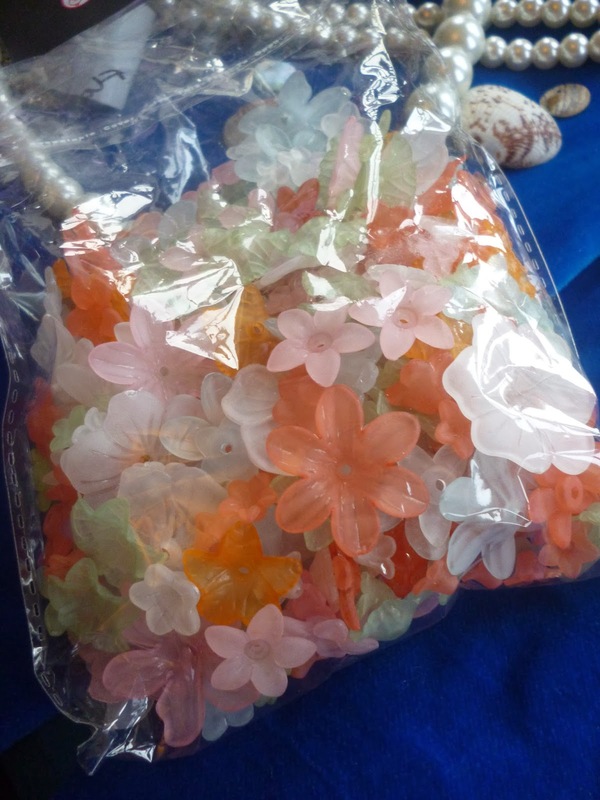 I was going to use fabric glue until I saw this video by Andrea Garcia. 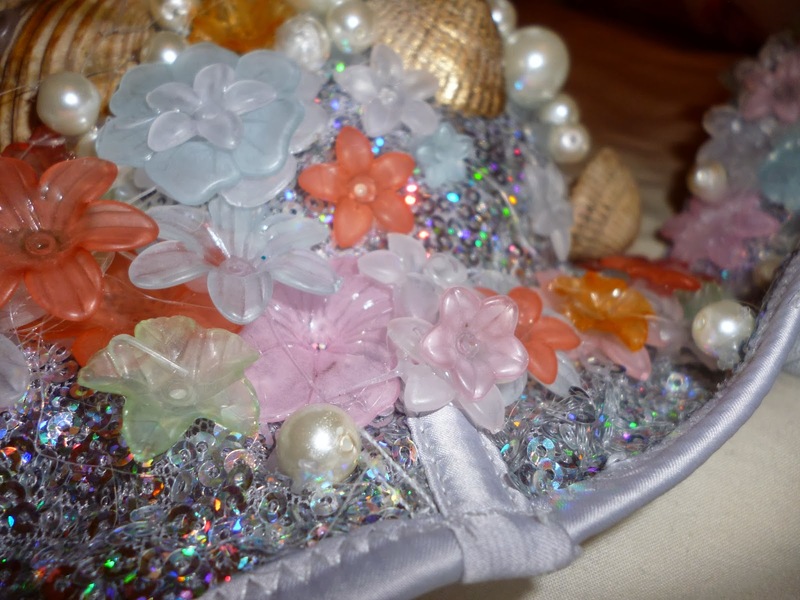 The glue gun is the best way to stick stuff on, its very secure and gives the bra a lot of structure. 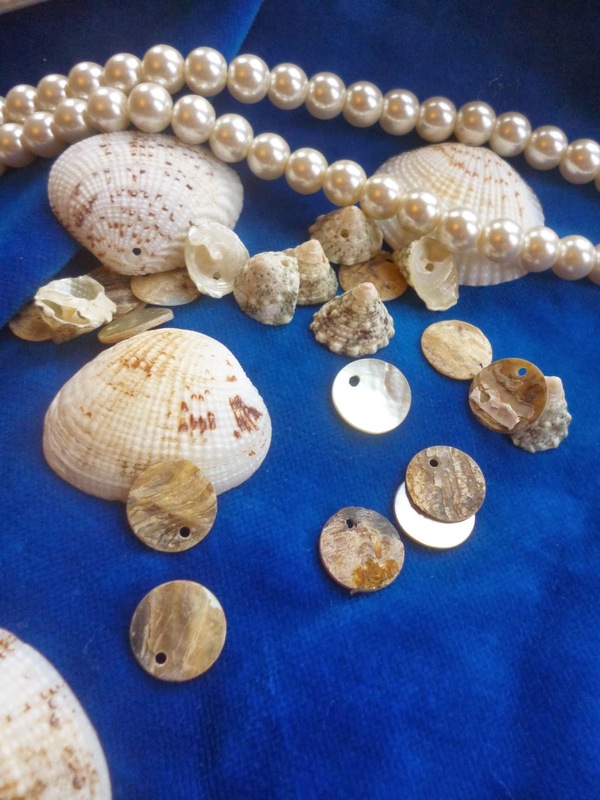 Barely anything fell off, apart from a few pearls. 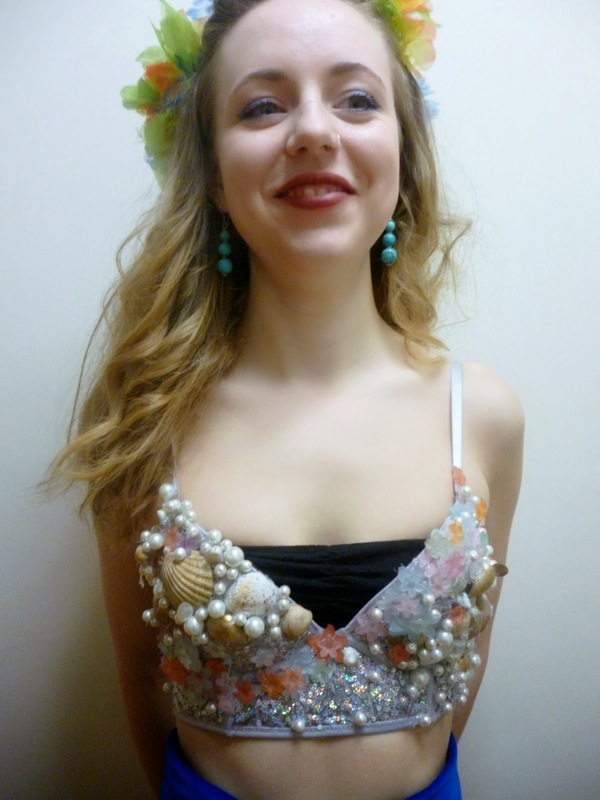 I wore it withe the blue skirt, a flower garland I pinned into my hair and purple lipstick. Originally I was going to wear the bra without anything underneath it but it turned out to be a bit big, so I borrowed my housmate’s bandeau to protect my modesty. It was really really fun to wear something so sparkly.